Working in the industry for many years I have come across many wedding suppliers. Choosing the right one isn’t an easy task. There are many wedding suppliers in Peterborough where I am based so I thought it would be helpful to gather all the information in one place. If you offer a service within Peterborough area and you are not listed please contact me and I will be happy to add you to the suppliers’ list. Below you will find people and companies who offer various services. Beginning with wedding photographers and videographers, through wedding cars, make-up artists, florists to wedding discos. I also included a rough idea of the cost of their services and a short description. I hope that the information will help you to choose the right one. Thank you for visiting my blog and good luck with preparing the most important day of your life. Georgi Mabee – Couples wanting something a bit different might like to check out this photographer whose background in magazine photography has given him a particular flair for creating stylish wedding photographs that will capture all the emotion and spectacle of their special day. Georgi’s partner, Bob, is an expert designer with experience as a photographer on several of the country’s leading photography magazines. This guarantees that your wedding album will be crafted by experts. They are fully insured and their prices begin at £1,200 with their digital-only package. Their Gold package is £1,400 and their Platinum £1,650. The unfolding of your wedding day will be captured in natural-looking photographs and a DVD disc of 300 high-resolution Jpeg images accompanies every photography collection. You will be able to back these up on your own computer. Becky Heath – Based at Hampton Vale, Peterborough, Becky is a perfectionist who is also a trained graphic designer. She treats every wedding individually, spending time with the happy couple beforehand so she knows how to capture their personalities on the wedding photographs. Becky combines the style of modern photographic journalism with that of classic portraiture to produce magical photographs that will tell the story of your wedding in all its romantic details. Prices start at £300, so small budgets are catered for, and Becky has full liability and indemnity insurance. A meeting with Becky can be arranged so she can get to know the happy couple and answer any questions they may have before the big day. Emma Joy – A professional female photographer based in Peterborough, Emma specialises in contemporary and vintage wedding photography. She is featured on the UK Bride website and has a range of flexible wedding packages on offer. She aims to tailor her services to satisfy her clients’ requirements, providing a completely bespoke service if necessary. Emma is fully insured and available for weddings by appointment seven days a week, in Cambridgeshire, Leicestershire, Northamptonshire, and other areas even further afield if required. Her part-day coverage packages start at £450, while full-day coverage starts at £750. Arranging a pre-wedding meeting with Emma will enable you to decide on the wedding package that best suits your needs. Suzanne Gore – Established in 2004, Suzanne’s business benefits from her friendly, informal approach which helps her clients to relax in front of the camera. She knows that no two weddings are the same, so her wedding packages are designed to accommodate all her customers’ requirements. She will take two to three days to carefully edit her film to make sure the finished product is a faithful and moving account of your wedding that you will never tire of watching. Filming the day’s events unobtrusively as they naturally unfold, Suzanne will create a DVD that is typically about one hour and thirty minutes long. Her half-day package costs £499 and her full-day package is £799. Ellen Jackson – Ellen has an impressive background as a videographer. A graduate in Media Productions from Lincoln University, her subsequent freelance career saw her editing backstage video footage for television programmes like The X-Factor and Britain’s Got Talent. Her education and experience are now put to good use when it comes to providing her clients with a value-for-money videography service, whether it be for weddings, anniversaries or corporate events. Ellen begins by listening closely to her customer’s requirements. She then sets up the video shoot accordingly and selects appropriate royalty-free background music. She guarantees to deliver the end product professionally edited and without exceeding her client’s budget. Chris Cox Wedding Productions – Knowing that your wedding day is probably going to be the most special event in your life, this company prides itself on being able to record all the details of the occasion in the way you would like to remember them. Their friendly, flexible and professional approach combined with the high quality of their work will result in a wedding video you will enjoy for years to come. They offer a variety of editing styles to complement the theme of your wedding and have many packages on offer to meet both your needs and your budget. They can produce a documentary or cinematic video, with their services tailored to the client’s requirements. Prices start from £550. A Beautiful Day Productions – This Peterborough-based business was established in 2009, and owner John uses three HD cameras to film his clients’ weddings. He has professional editing software to give his videos a compelling feature-film finish. His attendance at your wedding will be discreet and unobtrusive and he can cover Peterborough and all the surrounding areas. His Silver package, comprising one videographer, using two or three HD cameras, is £1,250. His Gold package uses two experienced videographers to capture more footage and is priced at £1,550. 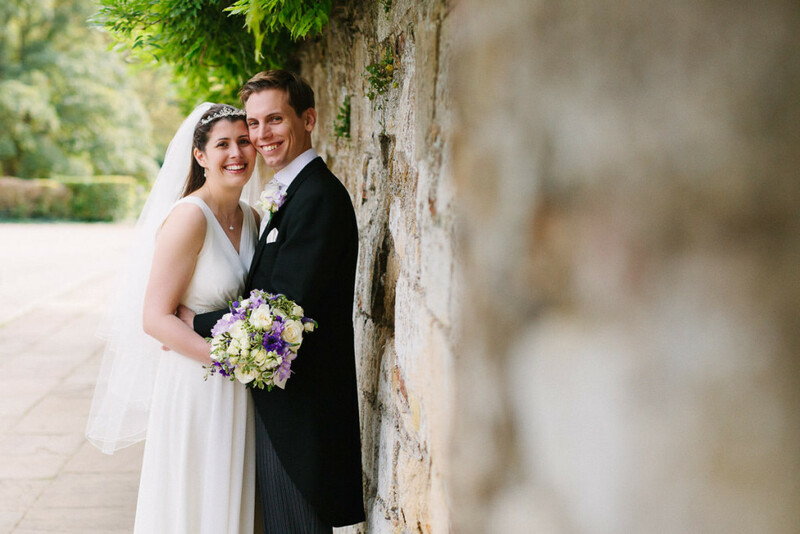 With his friendly yet professional approach, John aims to produce wedding videos of the highest standard. Evoke Wedding Films – The team from Evoke Wedding Films will be happy to discuss your requirements over coffee, preferably at their Peterborough studio, where you will be able to examine all their state-of-the-art equipment and software. They can add amazing lighting effects, colours and music to their videos to create a truly unique finished product. Your video can be produced in a variety of formats and will be painstakingly edited to your specifications. For the wedding ceremony itself, the price is £995, while coverage of the whole day is £1,495, and both packages will involve multiple cameras so all those special moments are captured. The team’s experience, imagination and technical expertise will altogether ensure that you end up with the highest quality video possible. Interflora – For over ninety years this company’s network of florists has been delivering expertly crafted flower displays and bouquets to its customers. Many award-winning florists belong to this organisation, creating exquisite handmade floral gifts in both modern and classical styles. This is the world’s largest and most experienced flower delivery service and can deliver fresh flowers to almost anywhere in the world within hours of an order being made. Wedding flower packages range from £250 to £990 and can be tailor-made for the occasion, with the florist selecting the right flowers and colours to perfectly match the theme of the wedding. There is such an extensive range of beautiful flowers and displays on offer that you will be spoilt for choice. 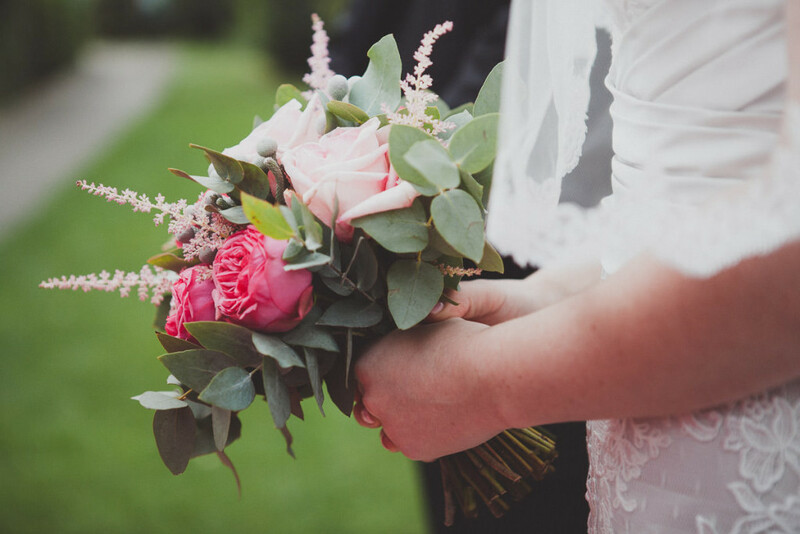 Mooi Florist – Based in Papworth Everard, Cambridge, this florist covers the East of England area and offers a free personal consultation so clients can discuss their wedding flower requirements. Mooi is Dutch and means ‘beautiful, precious, pretty’, and this is a good description of their flower arrangements, which are created to enhance the overall theme of the occasion, while also working within the client’s budget. Flowers will be bought specifically for your wedding day to make sure you only have the freshest flowers in your displays. Bridal bouquets are from £75 to £150, with other floral arrangements ranging from £6.50 to £165, depending on their size and the flowers and materials used. Evening appointments are available for clients wishing to discuss their requirements. Helen Jane Floristry – Helen works closely with her clients to help them choose the perfect floral arrangements to complement the colour scheme of their wedding. 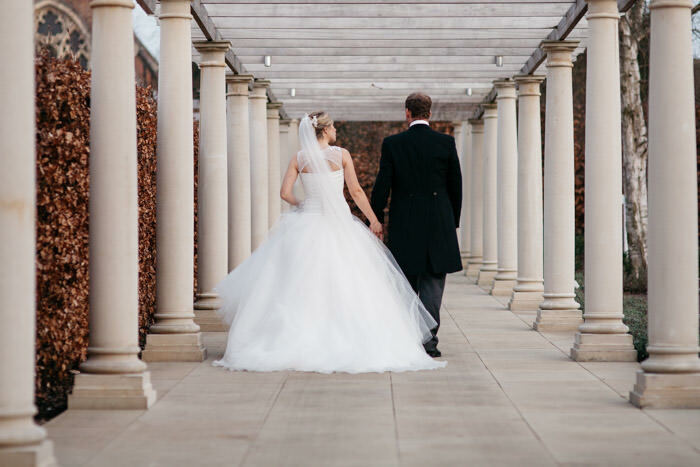 She is familiar with many of the wedding venues in Peterborough, Stamford and the surrounding areas. Her expertise covers all floral displays from bouquets and button-holes to table decorations. After a free consultation with Helen, you will receive a detailed proposal and estimate so you know exactly what to expect. Her full wedding flower service is usually between £700 and £800. All the flowers are ordered specially for each event and will be in first-class condition on the day. Olivia Florists – If you are planning on something a little different for your wedding day, this company enjoys a challenge and is also happy to cater for a large or small wedding. They have daily deliveries of fresh flowers and they make sure they are in peak condition, keeping them in a refrigerated unit until they are used. They have an extensive portfolio of floral arrangements if you need any ideas, but they will gladly help you with the creation of your own design. Bridal bouquets cost from £70 to £90, depending on the flowers involved and the size of the bouquet. Bouquets for the bridesmaids start at £50. Twiggs and Bows – This company has had many years’ experience of creating wedding displays for its customers in the Peterborough area. They pride themselves on their friendly service and attention to detail. Any wedding theme can be accommodated and they can even provide flowers for your hair and cake decorations. It doesn’t matter if you are planning a small, family wedding or a large and lavish occasion, Twiggs and Bows are happy to oblige and they are open seven days a week. Their flowers arrive daily from Holland and are always as fresh as possible. They offer a range of bouquets from £24.99 to £94.99, depending on the size and the type of flowers used. Burghley Flowers – With over twenty years in the floristry trade this company has a wealth of expertise and experience to offer its customers. They guarantee that their flowers are as fresh as possible and offer free local delivery on orders over £24.99. The prices of their wedding bouquets and floral arrangements will vary a great deal, depending on the size and the flowers used, and they have an extensive range of designs which can be viewed on their website. If you prefer, you can visit their Peterborough shop in Wentworth Street to see what this long-established business has to offer. Classic Wedding Cars – This is a family-run business offering a selection of chauffeur-driven luxury and classic cars. Each car comes with a complimentary bottle of champagne and optional engraved glasses on a tray. There is a floral display in the back window and ribbon detail on the car that you can choose yourself. They have a 1932 Austin 12/6, a soft top perfect for that sunny summer wedding; a 1950 Bentley MK6, with walnut trim and white paintwork; or a 1962 Rolls Royce Silver Cloud II, a car famous for its luxury and timeless elegance. Whichever car you choose, it will help you arrive at your wedding in style. Peterborough Wedding Cars – Owned by Trevor and Pat Baldwin, who have been involved with classic cars since 1967, this company takes pride in giving customers an individually tailored service, Their cars are all dressed in ivory ribbon, and silk flowers adorn the rear shelf of their Silver Wraith cars. All vehicles are maintained in pristine condition and will take you to your wedding in luxury and comfort. Their chauffeurs wear formal attire to add a professional touch. Based in Marholm, this company covers a forty-mile radius and they only do one wedding a day to ensure that each customer gets their full attention. Their vintage Rolls Royce cars are stunning and one in particular, the 1928 Horsfield Tourer, offers wonderful opportunities for wedding photography when the hood is lowered. Classie Cars – Offering wedding transport for Peterborough and the surrounding areas, Classie Cars aims to provide clients with a relaxing and comfortable ride. They can take care of all your transportation arrangements and make sure that this is organised well in advance so everything goes smoothly on the day. You will be chauffeured in style, the car adorned with flowers and ribbons, and you can rely on having a professional service and personal attention from this well-established local firm. Their cars can be viewed anytime and a quotation is available upon request. Prestige & Classic Wedding Cars – Their elegant and beautifully maintained cars include Jaguar, Rolls Royce and Daimler vehicles, among other makes, giving clients a choice of either modern, classic or vintage cars. Their extended Daimler can accommodate the bridal party, including the bridesmaids and even the page boys. American Stretch Limousines are also available and other specialist cars can be arranged to suit specific requirements. Quirky retro vehicles like the Robin Reliant and Ford Capri are also for hire to cater for all tastes and wedding themes. This company will do all it can to provide you with whatever you require for your wedding transportation. Four hours is the minimum hire period, with thirty minutes of travel included, and prices start at £500. Many packages are available. Nene Valley Weddings – This company provides classic wedding cars throughout the Greater Peterborough area. 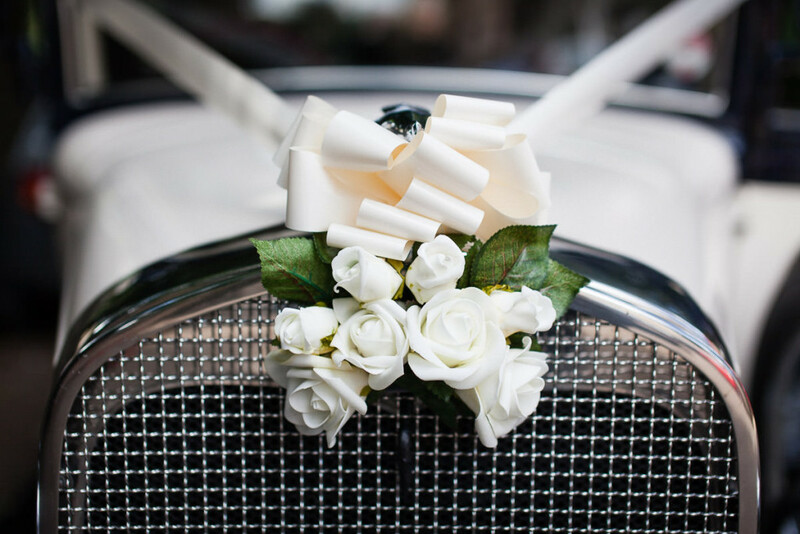 The cars are maintained in excellent condition and yours will be decorated with ribbons to match your wedding colour scheme. Your formally dressed chauffeur will drive you slowly to the church, allowing you to enjoy the passing scenery. This company also provides a little something extra: photographs will automatically and discreetly be taken along the way, providing you with a collection of natural images as a record of your journey. They also only offer classic cars that are British or have a strong British association, and all are kept in their original style and colour. These darker shades of paintwork provide a wonderful contrast with traditional wedding dresses to create a very stylish effect in your wedding photographs. 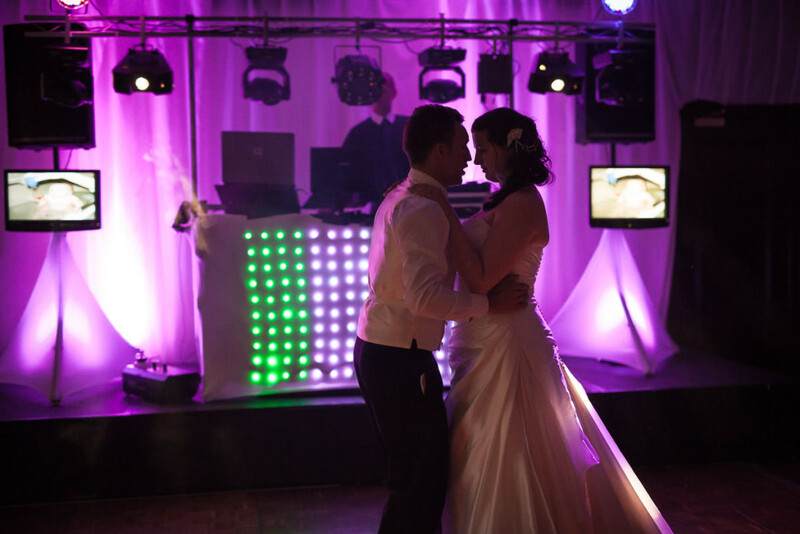 City Sounds Disco – City Sounds Disco has over thirty years’ experience supplying discos to suit every occasion and they can cater for all musical tastes from the 1940s to the present day. DJ Dave Radwell has an extensive musical knowledge and has plied his trade in many of the UK’s major nightclubs, as well as in Belgium and Ibiza. Dave has more than 130,000 tracks at his disposal and his friendly, upbeat manner will help to make your evening reception the fun event you want it to be. Prices start from just £50. Sunset Entertainment – This company is determined to offer customers great value for money and provides music and lighting for every occasion. This is a full-time business that was established over eighteen years ago and now boasts an excellent reputation. They only use quality sound and lighting equipment and also provide mood lighting for venues. Chocolate fountains, chair covers, sweet tables and carts can be provided as well as a quality disco and DJ, not to mention a karaoke. Sunset Entertainment regularly exhibit at Wedding Fayres where you can see them in person and ask about their services and prices. All New Sparkarama Discos – If your favourite song isn’t in their collection, the Sparkarama Roadshow will do their best to get it for you, especially if it is for a wedding. Their experienced DJ can play a wide range of music from the 1960s onwards. You can expect great value for money from this company and take comfort in the knowledge that they have over ten years’ experience and have public liability insurance. They are also police checked. They are now taking bookings for 2013/14 and work particularly closely with Orton Hall Hotel, Peterborough. Events by Lynch – For the ultimate party experience at your wedding choose DJ Franck as your Master of Ceremonies and Gamesmaster, and let Events by Lynch organise all the fun, music and entertainment on your special day. If you want more than just a disco or have a particular vision for the event, a no-obligation consultation beforehand will help this company to plan and personalise the entertainment to conform to your requirements. They believe it’s your party and you should have a memorable and unique experience that you and your guests will never forget. DJGP Roadshow – This mobile disco can accommodate all events whatever their size and has experience in everything from wedding receptions to children’s parties. They use music and lighting to generate a fun and vibrant party atmosphere. You also have the option of an overhead gobo projector which throws images onto the floor and walls of your venue, creating a very interesting effect. Their lighting show also features two six-foot LED flame machines, a smoke and haze machine, and two music video screens. Their music covers most styles from the 1950s to the present day and all their staff are CRB checked. You can also bring along your own favourite tracks in a variety of formats, even on vinyl. The Wedding Room – The Wedding Room’s hand-picked selection of designer bridal gowns comes in a range of sizes from 6 to 34 and caters for all budgets. Some gowns start at the very affordable price of £150. They have more than 120 dresses in stock at all times, and also a range of bridesmaid and flowergirl dresses and bridal shoes. You can have your shoes dyed any colour you like at no extra cost. Their in-house designer of tiaras can create bespoke wedding accessories to further personalise your ensemble. The Wedding Room also offers a dress alteration service. 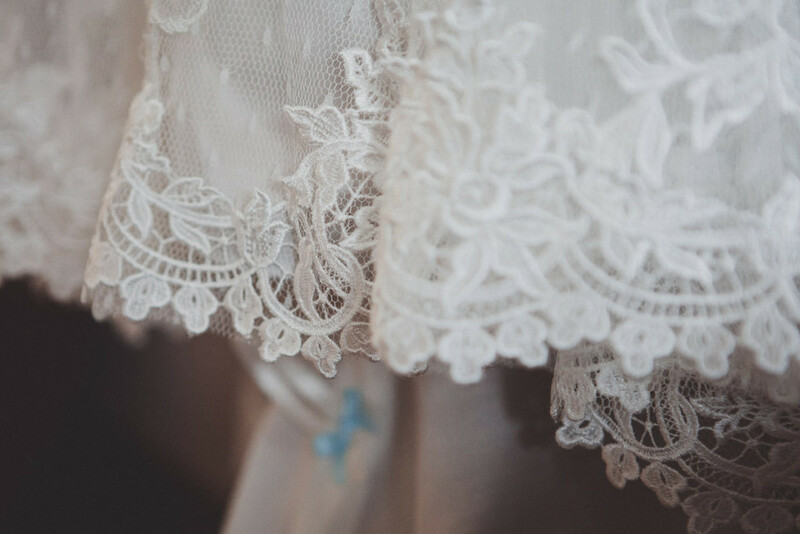 Susannah Ross Bridal Wear – A graduate in Textiles from Cardiff University, Susannah’s speciality is her hand-made, made-to-measure bridal wear. From simple, classical styles to rich, embellished ones, Susannah will use fine-quality materials and all her skill to create the look you are aiming for. She also makes outfits for bridesmaids and pageboys. Her work is available to view by appointment at her studio. Veils, headdresses and shoes that match your outfit are also available, hand-crafted with that same attention to detail Susannah employs in all her work. Every one of her designs is unique and made for each individual client, so your wedding gown will be one of a kind. 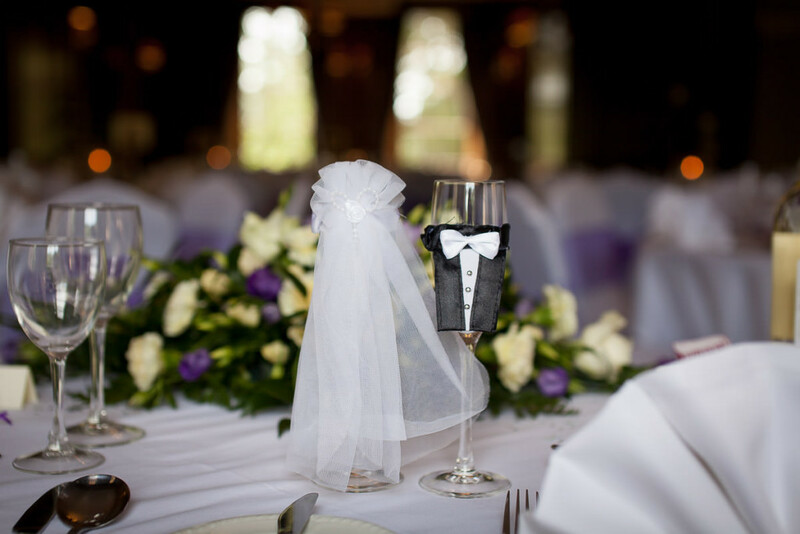 Swanky Rags – This company aims to make you the main focus of attention on your special day, and to do this at a price that is within your budget. Their collection of gowns is always on trend and has that extra something you won’t find on the High Street. Stunning designs and luxury fabrics combine with hand-beaded details to make dazzling and elegant gowns for the modern bride. They always stock at least 200 dresses from size 0 to 32, with a range of colours and styles to give you a very wide choice. Bridesmaids and flowergirls are also catered for and a small deposit of £50 will reserve any dress in their stock. They have an interest-free payment plan for any bride wanting this option. Berketex Bride – Berketex Bride stores are nationwide and their branch in Westgate, Peterborough, has their usual great selection of wedding gowns and bridesmaid dresses. Their reputation as a company goes back fifty years, so you can rely on their experience and professionalism. Whether you want a traditional look or something more modern, their friendly staff and expert stylists can help you find what you are looking for from the range of styles and sizes available. Berketex has the country’s largest collection of designer wedding gowns and also a wealth of accessories, such as veils, shoes and tiaras. Maison de la Bride – Beautiful wedding dresses await you in this bridal boutique in Peterborough. The shop opened in June 2010, since when their expanding business has also necessitated the expansion of their premises. Their highly trained consultants aim to guide the client through each stage of the process until their dream wedding outfit is achieved. Their dazzling array of hand-picked gowns showcases some of the world’s most prestigious designers. Bridal dresses start at around £599. They also stock bridesmaid dresses, veils, tiaras, and other accessories to complete the wedding ensemble. The business is run by appointment so that each client receives their full attention. Late evening appointments are also available. Michael John Hair Artwork Ltd – For over thirty years Michael John has been setting trends and pampering customers at its Queensgate salon. You will find the most up-to-date hairdressing techniques here as well as a relaxed and friendly atmosphere. Award-winning designers and expert stylists will do their best to make you feel special while they create the look you want. They have hair-extension consultants and colouring and perming technicians so you can transform your appearance to be the bride of your dreams. Wedding make-up is a speciality of this salon, too, and starts from around £25. They also have a gents’ grooming service. Ethos Hair & Beauty – This salon’s relaxed atmosphere is enhanced by candles, incense and soft music to help you feel immediately at ease. A full consultation is given when you attend for your appointment so that all your requirements can be met. The latest techniques are employed by the salon’s friendly and professional team who keep up to date with the newest trends. They can style and colour hair extensions to match your own hair and they offer permanent make-up and the use of a sun bed to make you as beautiful as possible on your wedding day. Serenity Loves – A range of luxurious, yet affordable, treatments await you at this salon, and the talented team of stylists and beauticians can cater for all the hair and beauty requirements of the modern bride. They will ensure that the bridesmaids and the bride’s mother also look as good as possible on the day. Their pre-wedding packages give the bride and her friends a chance to spoil themselves and relax. These include massage, spray tanning and waxing and can be taken up to a day before the actual wedding day. Their wedding hair and make-up both start from £25. This salon takes pride in making clients feel special and look stunning and can give you a truly VIP experience. Emilio Hair Design Ltd – This small, friendly business has built up a great reputation since its establishment in 1992. 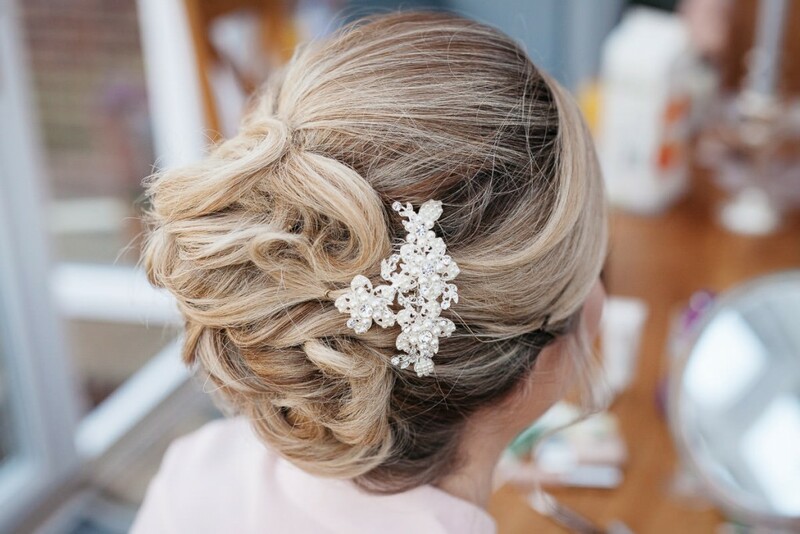 Their fully qualified and experienced staff are always up to date with the latest trends and products and can offer a complete bridal hair and make-up service at very competitive rates. Prices will depend on the type of hairstyle required. They can also arrange a photography session. Their appointments are very flexible as are their payment methods, and they take pride in giving great value for money, while at the same time providing a very professional yet personal service. Chic Beauty & Brow Bar – This salon aims to make clients look and feel good with their extensive range of treatments and therapies. They have much to offer any bride who wants to look her best on the day and also have pre-wedding and hen-night pamper parties. Their bridal package provides an hour’s manicure, an hour’s pedicure, a thirty-minute facial and a one-hour Swedish body massage. This package is priced at £107 and includes a £10 voucher to be spent at the salon after the honeymoon. The bride’s make-up will be professionally applied using only the best products.